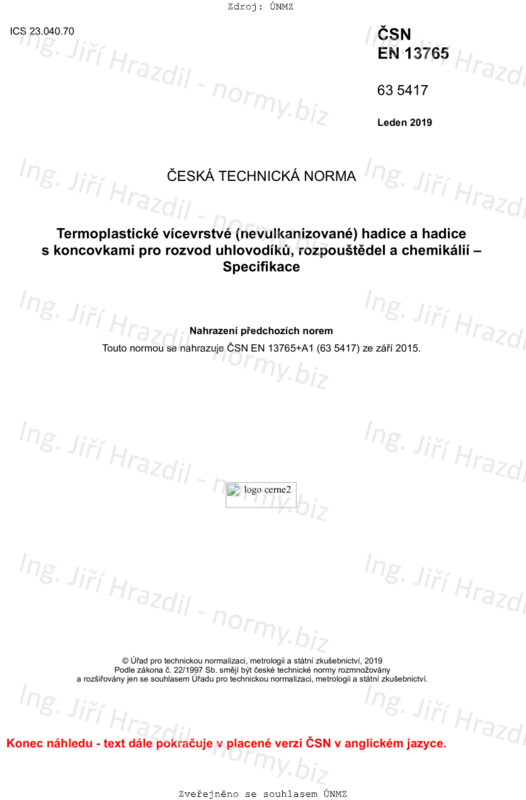 This document specifies requirements for four types of thermoplastic multi-layer (non-vulcanized) hoses and hose assemblies for carrying hydrocarbons, solvents and chemicals. It specifies bore sizes from 25 mm to 300 mm, working pressures from 4 bar1) to 14 bar and working temperatures from -30 °C to 150 °C. Type 1 hoses are suitable for vapour applications. Types 2 to 4 hoses are suitable for liquid applications. The attention of users is drawn to Annex A concerning the selection of the material for the inner wall of layers and any polymeric coating of the internal wire helix related to the chemical(s) to be conveyed by the hoses and/or hose assemblies.